Four years ago today, some family members of a political aspirant, several supporters, and journalists in Maguindanao were massively slaughtered in a broad daylight after they're ambushed while going to the office of the Commission on Election (Comelec) to file the certificate of candidate (CoC) in this fateful day. It is such a long, long years to process several murder cases for those who were accused of. To be exact, it is 1,461 days as of this writing. It has been pointed out that to completely try this case, it will take several years. Would you believe that? How could everyone imagine that justice has not been yet handed down. What's wrong? The ordinary Filipino is asking. Who can answer this? 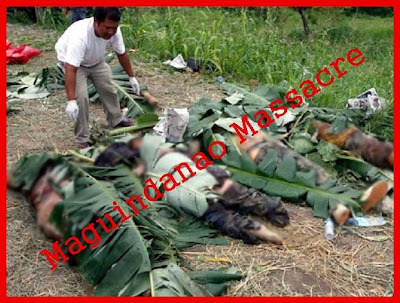 In fact, it has been analyzed for this kind of justice, it will take 200 years to complete the process of hearing this bloody massacre in Maguindanao. This is a reaction of Grace Morales, widow of Rosell Morales and sister of Marites Cablitas, reporter who had been killed in Maguindanao massacre on Nov. 23, 2009. “We know that it is not easy to get justice. We need to work for it, it is not voluntarily offered or easily obtained. The families need to act, to remain strong and to continue the fight. It has been two years but we have not yet obtained full justice because not all of them have been detained and sentenced,” expressed Grace Morales two years after that massive slaughter. “If we’re going to wait for decades, we would already be dead by then. We don’t know but I might already die but there would still be no results,” also expressed Juliet Evardo, mother of Jolito Evardo, UNTV editor who was also slain in that bloody political-related incidence. In this case, this will give credence to the statement that justice delayed, justice denied. Doesn't it? 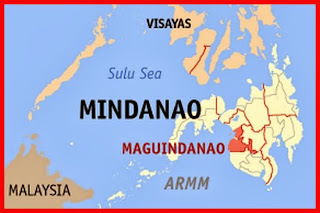 This atrocity stemmed from the decision of Esmael Mangudadatu, vice mayor of Buluan town , to challenge Datu Unsay mayor Andal Ampatuan, Jr., son of the incumbent Maguindanao governor Andal Ampatuan, Sr. and member of one of Mindanao's leading Muslim political clans, in the forthcoming Maguindanao gubernatorial election, synchronized with the national elections in 2010. 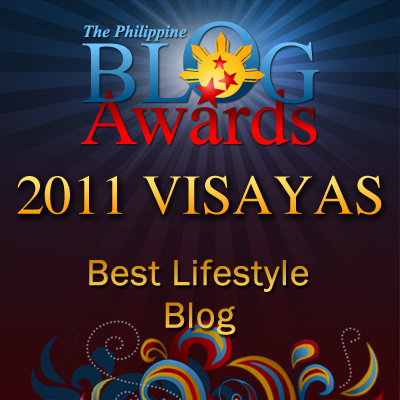 That fateful day happened and shocked not only the entire country of the Philippines but also the world. It was November 23, 2009, 58 persons were on their respective vehicles going to the town of Maguindanao to file a certificate of candidacy for Esmael Mangudadatu. Unluckily, they'ere stopped, "kidnapped and brutally killed" in an isolated placed and burred in mass to an open pit. 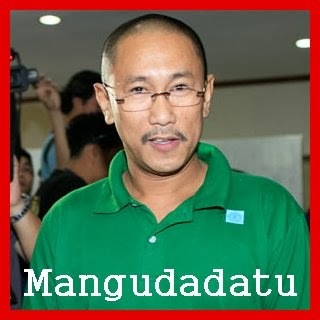 Those people who were killed in the convoy, were identified as Mangudadatu's wife, Genalyn Mangudadatu, his two sisters, journalists, lawyers, aides and motorists. They're all buried to an open pit allegedly dug by the provincial engineering equipment. 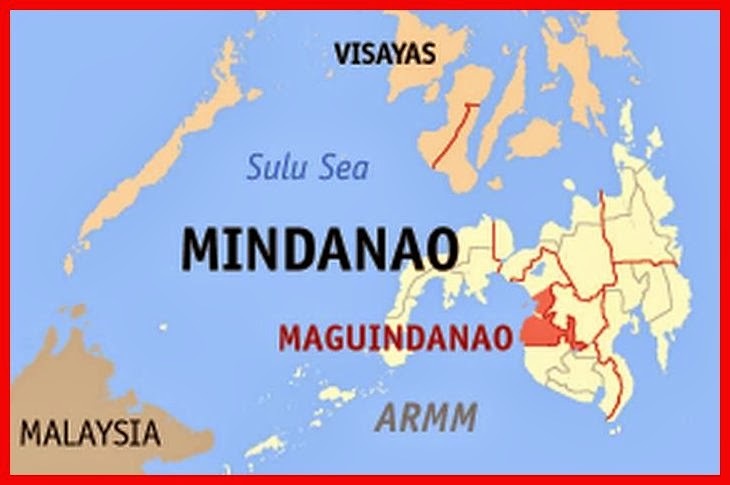 Those who opened fire the victims were believed to be a hundreds of armed groups of civilian volunteer organizations (CVOs) and a handful of PNP officials of the province of Manguindanao as alleged. With the very, very slow justice process of this case, the victims have seemingly lost hope that the justice that they are looking for will come to naught. However, other victim family and relatives have sought the intervention of the United Nations. They have sent a communication via electronic mail to the UN Human Rights Committee (UNHRC), hoping that their petition to prod the PH government to give them what is due to them for the death of their husbands who are earning for their day-to-day sustenance. The National Union of Journalists of the Philippines (NUJP) has also showed sympathy to the victims which include the 58 people and 32 journalists in a bloody Maguindanao killing on Nov. 23, 2009. 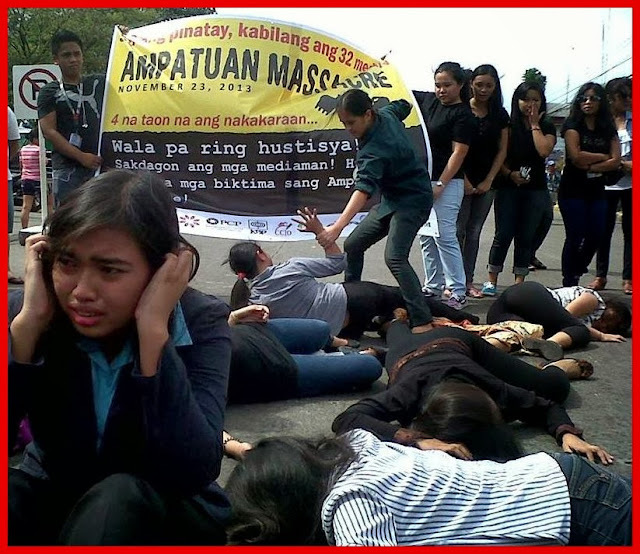 Rowena Paraan of NUJP said that the people knew who were those people behind the Maguindanao massacre. She said that they're doing their part to let the people know and justice should prevail for their fallen fellow journalists. NIJP director Sonny Fernandez likewise pointed out they will not stop telling people of the media killings of Nov. 23. In like manner, nearly a hundred of Negros campus journalists, activists, artists, government officials and press freedom advocates dramatize their concern for the "slow grinding of wheels of justice" in favor of those fallen media practitioners by offering flowers and lighting of candles at the marker for fallen journalist, a mass and a die-in, the local press said. For the group of journalists, people power is the answer. They will educate the people to fight violence and corruption. Is it possible? So be it. However, to put what I have encountered in the movie, X-men, it says there: "people won't change." Ponder it over. However, if we take it spiritually, God will do the justice for those who were involved. God is vengeance. Thus, to quote Monsignor Felix Pasquin who offered the mass here for Negros journalists and peace, justice, freedom supporters, he said, "The wheels of justice grind slowly. Where to we turn to for justice? We turn to God.,"
I still remember that day and that's the problem with the justice system. When a crime is committed in that magnitude, it still drags on like all the other cases. There are so many like cases pending in our courts today and it happens that some complainants die before hearing the final decision. The injustice of slow justice indeed. I hate to admit it but Philippines is a slow country when it comes for responding to many cases. From that Maguindanao to the recent Zambales, Bohol, Leyte, Napoles.. those cases are pretty much difficult to have "case closed". Oh my, I'm sort of out of the topic and a hater now. Well I do hope that days pass by that cases are resolved and be not like a pile of injustice papers.